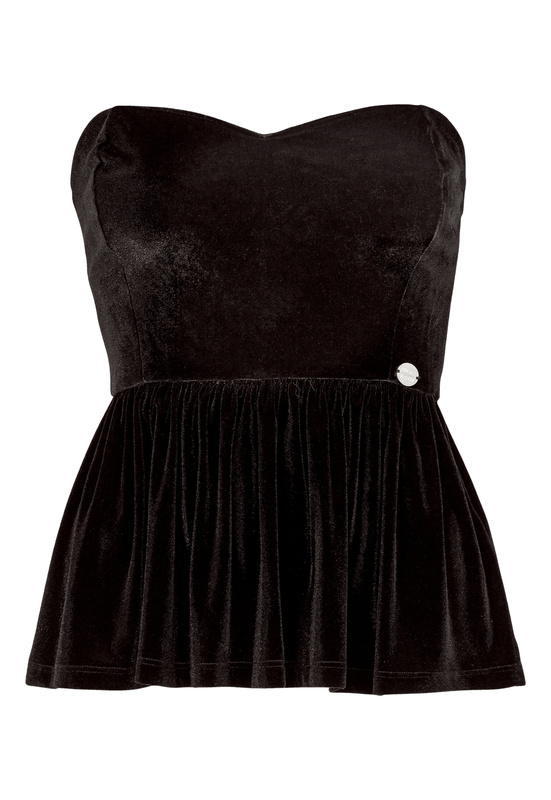 Short sleeve velvet top from CIARA FORTHI. The top has a slightly shorter design, with lovely draping at the waist and a back zipper. Length of garment in size S: 45 cm.